We’re excited to have our own sailing dinghy here in Somerset. Check out our photostream on Flickr and Facebook page for our latest news and events. If you’d like to chat, we’re also on Twitter. Dinghy sailing is a fun, adventurous outdoor activity for our girls and young women, and it’s affordable and easy to organise. Complete our online form. We’ll check availability and confirm your booking by email. Please bring a cheque on the day payable to Somerspirit. (Note that rates are per unit). Please have a complete change of clothes and shoes with you, just in case! Buoyancy Aids will be provided. What about forms and risk assessments? Leaders are responsible for arranging Information and Consent Forms. Please advise the instructor if any girl has additional needs or medical conditions of which they should be aware. We have carried out our own Activity Risk Assessment. Please review this and identify any additional risks or actions required as appropriate. The activity leader holds an RYA Instructor qualification, and is a registered volunteer with Girlguiding who has undergone DBS checks. Where is Somerspirit? At Sutton Bingham Sailing Club near Yeovil. How many girls can fit in the boat? Typically 4-5 Brownies, 3-4 Guides, 2-3 Senior Section members at a time. What happens if the weather is unsuitable? We’ll cancel at the earliest opportunity and rearrange. Can Rainbows join in too? Sorry, no. Participants must be 7+. 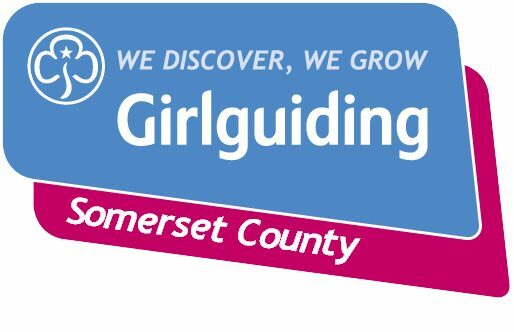 Check out all of the relevant Girlguiding rules. What is expected of us? Girls will help set up the boat and pack away after sailing. Small groups will take turns to go out in the water. There will be lots of fun! What facilities are there? There are ladies and mens changing rooms, toilets and showers. Valuables lockers are available. There is an accessible toilet. On some days a volunteer-run “galley” (food service) operates. You are welcome to picnic in the grounds. Barbecues are also fine, but please let us know if you are thinking of bringing one so we can check there are no other events taking place that day. Is there WiFi? Yes, you’ll find the code in the clubhouse noticeboard. Please only access content which is safe, legal and appropriate, and don’t access anything which might bring Girlguiding into disrepute. What can we do while we’re not sailing? There’s a clubhouse with a wet and dry seating area, microwave and kettle, plus outside seating. We have a “shore pack” full of activities, and the Brownie / Guide water safety badge syllabuses. Older girls and young women often simply enjoy watching their friends sail and experiencing the tranquility of the environment. What about certificates? You’re welcome to bring Guide or Brownie outdoor activity certificates for your girls. Our instructor will be happy to sign these or other activity records. Do you have Somerspirit badges? Yes! Our 21st birthday badge will be given to all participants while stocks last. Can parents stay? Yes, they’re very welcome. There is indoor and outdoor seating, and a self-serve tea / coffee are (honesty box for contributions to SBSC). There is a farm shop / cafe nearby which is open on Saturdays, and we’re only 10 minutes drive from Yeovil and 20 minutes from Sherborne. Can I bring my dog? Sorry, dogs aren’t allowed on Wessex Water sites, although we anticipate that assistance dogs will be allowed. Can I bring my own children? Yes, that’s fine. Remember you’ll need to ensure you have provided parental consent, included sufficient cover for them as part of your adult to child ratios and ensure they are properly supervised. They will only be able to join in with the activity if they are aged 7 or over – please include them in your estimated numbers. Some of our unit have wetsuits and sailing shoes – shall we bring them? Yes please. You’ll still need a windproof jacket, hat, and of course a full change of clothese. Can I get involved? Yes please! We’re looking for instructors and volunteers. If you have a sailing qualification, would like to brush up your skills and get qualified, or you’d love to give it a go, please get in touch. We will support you with training and mentoring, and you can volunteer at times to suit you. We operate under a separate charity registration. Our charity is called Somerspirit, number 1079490.